Arduino guru Simon Monk reveals advanced programming techniques for Arduino! 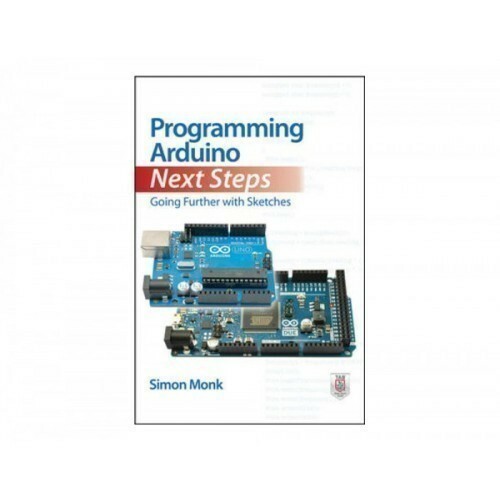 Programming Arduino Next Steps: Going Further with Sketches is the must-have follow-up to Monk's bestseller, Programming Arduino: Getting Started with Sketches. Aimed at experienced programmers and hobbyists who have mastered the basics, this book takes you "under the hood" of Arduino, revealing professional-level programming secrets. You'll learn how to use interrupts, manage memory wisely, use high-speed digital writes, program Ethernet and Bluetooth, get the most out of serial communications, perform digital signal processing, and much more. The content of the book is heavily influenced by the Arduino user forums and answers many commonly asked questions. Coverage includes the Arduino Uno, Arduino Leonardo, and Arduino Due boards.